While Lucy fights her magnetic attraction to Jared, anxious that his loyalty to Storm will hurt her chances of finding her sister, they quickly discover that not all is as it appears… and discovering the secrets contained in the Fox sisters' blood before they wind up dead is just the beginning. As they say in Dominion, sometimes it’s not you… it’s your DNA. Lucy is now living with the True Borns under Storm's protection. Storm promised he'd help find her sister, Margot. In return, Lucy's place in the upper circle allows Storm access to the Dominion's elite to make connections and gather information. But Lucy is tired of waiting to learn about her sister's fate and takes matters into her own hands, despite the danger. There is much we don't know about what is going on in Dominion and the world at large. With True North, I felt like a lot was going on but I wasn't learning a great deal either about what is truly going on or about the truth behind Lucy and Margot's blood. It was frustrating. I was also frustrated with Jared, who runs hot and cold with Lucy and is just a giant tease. I wanted him to put up or shut up. I think True North required me to be a more patient reader than I am, but the story picks up towards the end with some good tension and action. It left me wanting to find out what happens now. With one book left in this trilogy, I'm sure the final instalment will give me the pace and answers that I seek. 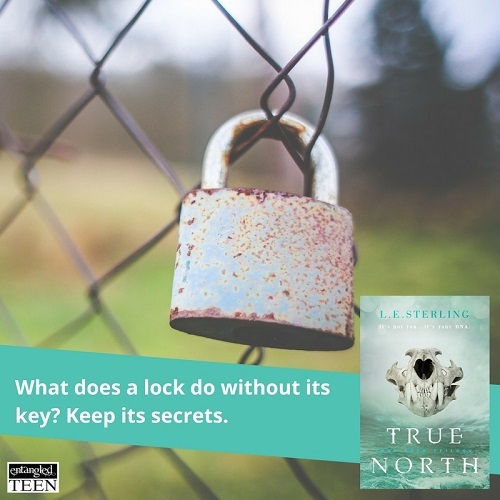 True North was a book I was highly anticipating, after the events that happened in True Born. Dominion is set in a plague-torn landscape amongst True Born, genetically spliced humans, and Lasters. Political machinations drive the plot. I’m writing my initial thoughts at 45% into True North. After the large gap in time since reading the previous book, it was a struggle to fall into the story. Perhaps if I’d reread True Born as a refresher, this wouldn’t have been the case. By chapter three, it was smooth sailing. However, I do feel there was a different feel to the writing. It wasn’t until the 40% mark into the book that anything happened. Prior to that, it felt stalled, bridging the gap from explaining what occurred in book one to what eventually would happen in book two. There was so much world-building in book one, creating an impressive foundation for the series – True Born was jam-packed with action and originality – that I felt book two was a major letdown, to be quite honest. The first 40% of the book is Lucy’s inner monologue, not trusting Storm and wanting to find her twin. She visits with the upper crust, as was her bargain with Storm, and crushes hard on Jared. 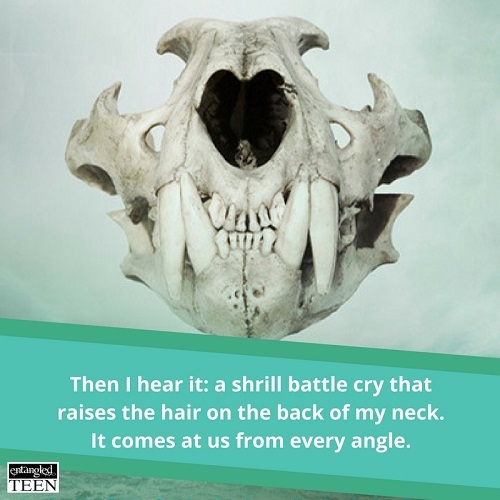 It wasn’t as deep as the first book, more vapid and shallow – like Lucy’s thoughts were just riding the surface, even when thinking of her missing twin, she didn’t seem to show a growth in her emotions. Lucy just thought about how much she missed Margot for a sentence, and then was distracted by other thoughts. The Lucy I remembered wasn’t the one written on the pages of True North. She was flighty, making stupid, reckless decisions, without a shred of self-preservation. She worried about her needs, not how her actions had consequences. Our heroine turned TSTL (too stupid to live) and dragged others with her. I do feel for Lucy’s predicament. After a lifetime of knowing her future was in her father’s hands, now that Storm is using the marriage mart as his in, Lucy is terrified and unable to trust him. She wants to be the maker of her own destiny, to make her own choices. The only issue is that Lucy proves her freewill is more to her detriment than the cage others place her in. She doesn’t make choices based on knowledge and logic. Rather, everything she does is in the now, without thought of consequences, all based on emotion, which completely belies the fact that she is written to have a political mind. So while I feel for Lucy, she’s incapable of making choices for herself. This is the adult in me, and I’m positive the young adult reader won’t notice. Up to 70%, I still feel as if the book is mostly filler, with scenes that don’t truly propel the plot forward. However, after this point, as the reader is moved toward the climax, every page is action-packed. 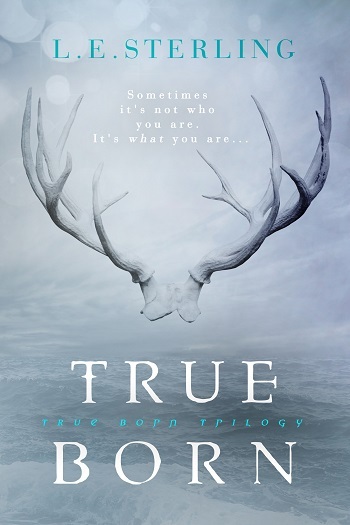 My final thoughts at the end of True North: Jared shines, and I don’t mean Lucy’s feelings for him – the author seems more connected to the character. While I feel this book was filler as a set-up for the next in the series, I’m glad I read it. I’m curious to see where the story goes, but slightly leery at the same time, fearing it will be drawn-out. To be honest, I find the True Borns more intriguing, wishing to read from their point of view, instead of Lucy’s or Margot’s. To be inside Storm’s or Jared’s mind would be an interesting journey. Even the newest character, Ali. For me, Lucy just isn’t capturing my interest like she did in True Born. Young Adult age-range: 12+, depending on the maturity of the reader. Violence, kissing and non-detailed sexual situations. For reviews & more info, check out our True Born post. 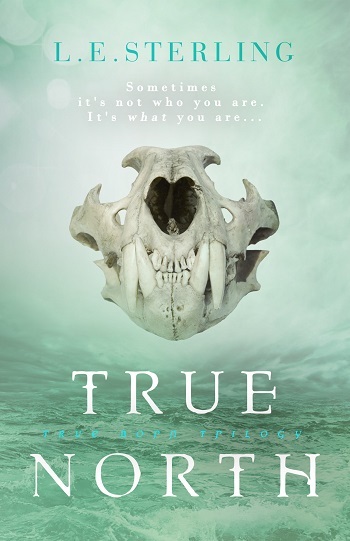 Reviewers on the Wicked Reads Review Team were provided a free copy of True North (True Born Trilogy #2) by L.E. Sterling to read and review.